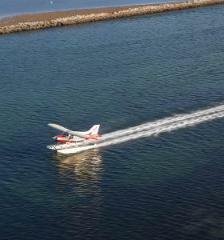 For those that just want to experience the thrill of taking off and landing on the water. Get together a couple of friends and we can do a ten minute local tour including a water take off and landing for $99 per person. 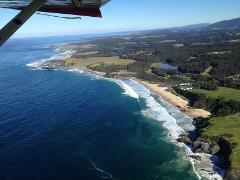 Take off from Forsters Bay and experience the beauty of Montague Island from the air. See Montague’s lighthouse up close, and enjoy the wildlife of the Batemans Marine Park. Depart Forsters Bay, we head south past Mystery Bay. We then head west towards Tilba and stunning views of the Gulaga National Park. The full far south coast experience. Explore Montague Island, Mystery Bay, and Bermagui. We return to Narooma via Central Tilba, with incredible views of Guluga along the way. Depart Narooma and head west into the mountains of the Wadbilliga National Park. Enjoy amazing views of Tuross Falls and the gorge, before following the river as it meanders its way to the sea at Tuross Head. 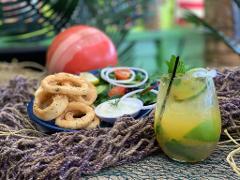 For those who really want to have it all! 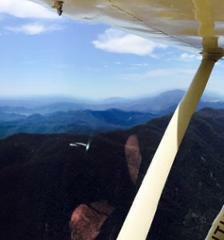 A personal aircraft and pilot for an hour flight, just for you and your party (up to three adults). Design your own trip around the magnificent NSW South Coast, or let us design one for you! The perfect special occasion surprise. 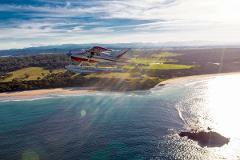 This package includes a spectacular seaplane flight for two around Montague Island in the Batemans Marine Park, followed by a cocktail each and a tapas plate to share at the famous Narooma Quarterdeck.